Santa can play for you! 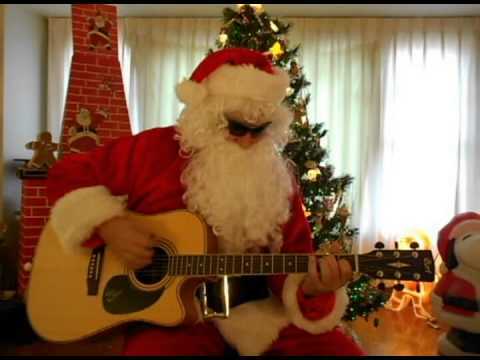 Rockin Santa can perform holiday favorites or parodies. Santa Claus is available for staff parties, day care centers, park districts, corporate events, preschools, private parties, businesses, and home visits. Rockin Santa will add FUN to your holiday. BOOK EARLY - call today. Best Rates Available. Prices change as it gets closer to the big day! December 24 - $150 for 30 minutes. TRAVEL TIME may be added as reindeer get real hungry. The kids loved him! 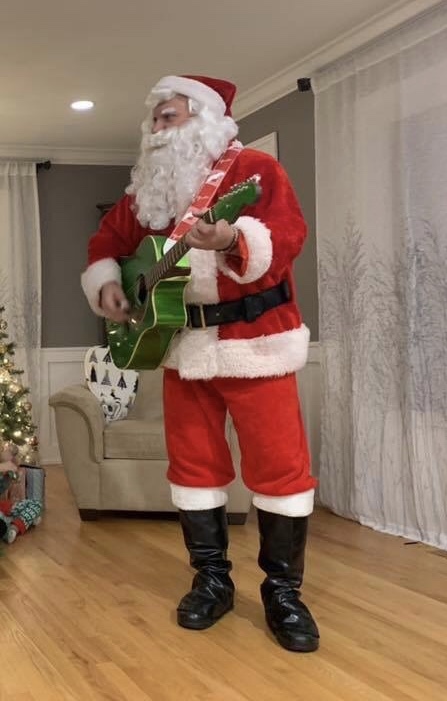 He played the guitar and sang and his elf passed out jingley bells for the kids. This is my go to Santa for my daycare from now on. His elf even read a story to the kids and gave us a book. Rockin Santa and his Elf were great. They sang, played a game with the kids, took family pictures and passed out everyone's Christmas gifts. Santa's improvised Christmas carols were marvelous and fun. They received great reviews from all the family members. The kids loved them and were thoroughly entertained. Looking forward to next year's visit. 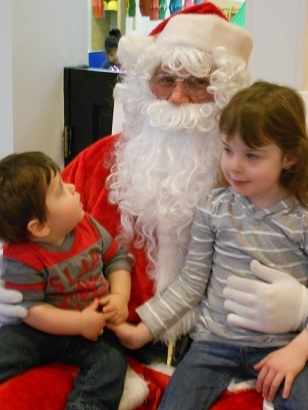 Rockin Santa was a huge hit at our holiday party!!! We had 10 kids with age ranges of 2 year olds - 8 year olds and they all had a great time. Rockin Santa and his elf entertained the kids with songs and even involved them by letting them use small bells to follow along with the music. All our guests had the opportunity to take photos with Rockin Santa, and he also passed out presents to all our kids and offered to read them a story. All our guests raved about what a great Santa we hired!! We will definitely use Rockin Santa again in the future!! 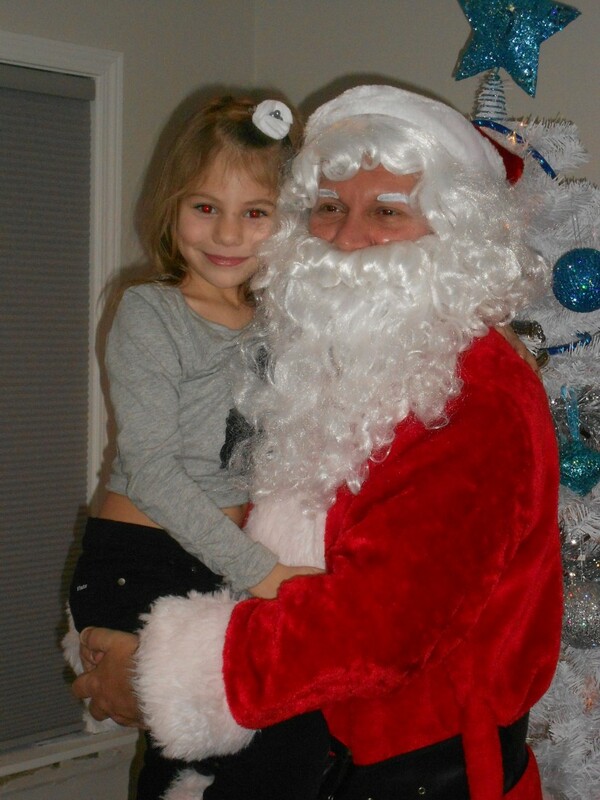 Thank You so much Rockin Santa for making our holiday party so memorable!!! His terrific music, way with the children and message about family was the highlight of our Christmas Eve. Highly recommend this FUN Santa and his elf. Great voice, sings fun Christmas songs, great with the kids. Best Santa we ever hired. Had a great time with Rockin Santa. He made our party a lot of fun! Rockin Santa got everyone singing and laughing. Great with kids of all ages. Got everyone in the holiday spirit. Want him back on Christmas Eve. 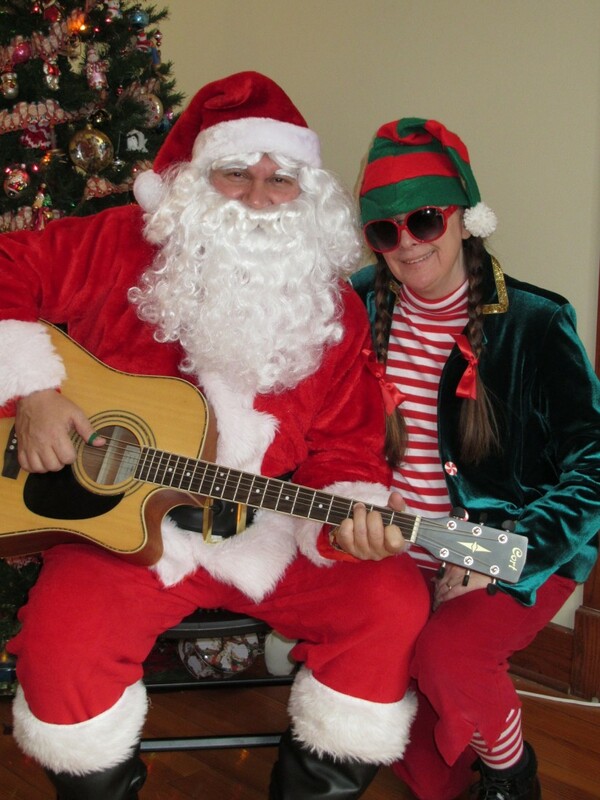 Wow, Santa with his guitar and elf made our party a big hit with everyone. They were very friendly to all the kids and spoke with each one individually and took pictures. We will definitely hire them again. 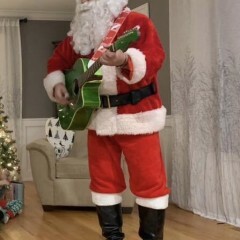 Santa is an experienced guitar player. He does rock 'n roll and other fun music. Great show. We now have lots of Holiday Picture Props. Tell us and we can bring them to your party. We can tell stories and have sing alongs with bells for the kiddies. 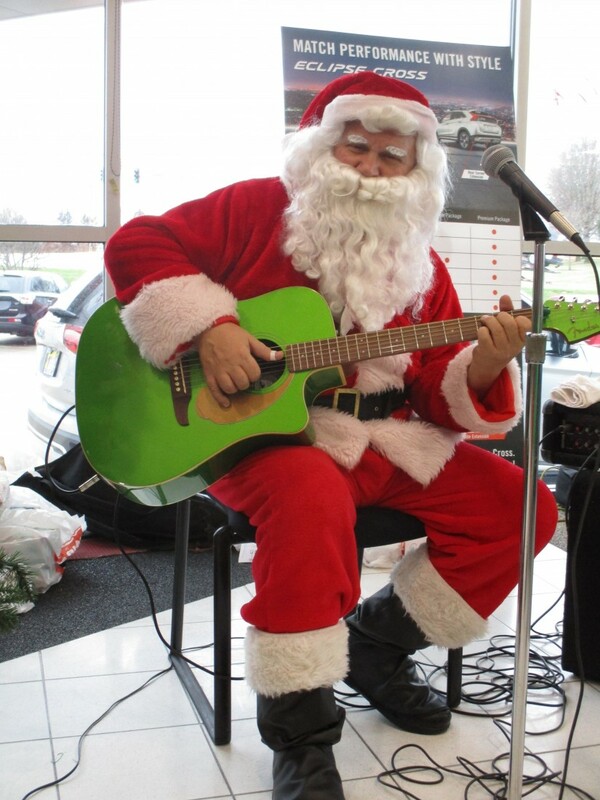 Rockin Santa can perform holiday favorites or parodies. Let us know and we can do it. Santa knows most songs but a bit of practice in advance is always a good thing!